Predicting the future is hard and is nearly impossible since there are myriad factors to consider when doing so. Many people have tried peering into a crystal ball or shaking a Magic 8-Ball, and despite some coincidences and bold claims, these tools are purely luck based? Football futures betting is a high-risk, high-reward gamble and is never a sure bet despite what some might claim. However, eliminating the risk and making a strategic decision is possible and is something to consider before placing a futures bet online. Here are some general tips and strategies to know before betting on futures. When betting on futures, the time you place the wager is one of the most important factors. Typically, the further in advance you place the wager, the worse the odds will be, but a winning bet would have a higher payout, which is what you want. The reason for this is because as the date of an event comes closer, the outcome of the event becomes clearer. Take this example: Every NFL football team starts the season off with 0 wins and 0 losses. Now, let’s say halfway through the season, a team is 3-5, having only 3 wins to 5 losses through the first 8 games. If you were to place a Super Bowl futures wager on this team at the midway point of the season, you’d probably get great odds in your favor since the team is struggling and has a low chance of making the playoffs, much less winning the Super Bowl. However, then let’s say this same team wins the next 7 out of 8 games, finishing the season 10-6 and making the playoffs. Now at this point, the odds have drastically shifted since at the midway point where the team had a low chance at a 3-5 record, but by being 10-6 at the end of the season their chances of winning it all have gotten a lot better, but this means the payout became a lot worse since it’s more likely that they’ll win the Super Bowl, especially considering they’ve now made the playoffs. A good, often-used, real-life example is the 2011 St. Louis Cardinals where an unidentified person in St. Louis made the bet of a lifetime. On the evening of September 12, 2011, the Cardinals were five games back from a postseason wild-card spot with just 15 games left to play in the regular season. The unidentified person put $250 on the Cardinals making the World Series and was given 500/1 odds. But the bettor didn’t stop there. This person then put down another $250 on the Cardinals winning the World Series at 999/1 odds. Well, the Cardinals caught fire and clinched the wild card spot, won both the NLDS and NLCS and in seven games defeated the Texas Rangers to win the World Series. So, what was the payout from the original $500 bet? $375,000. To have success in futures betting you need to not only weigh the odds but also pick the right time to place a wager. You’ve probably heard the expression “hedge your bets” before at some point in your life, and it’s a common strategy used in betting, especially on futures. “Hedge your bets” means placing a bet on more than one set of odds or lines to ensure you don’t take a huge loss or in the example below, how to ensure you can make a profit regardless of the outcome. To ensure a profit, hedging your bet requires two bets: one has to be a futures bet and the other will be an outright bet and both have to be on different outcomes. In this example, we’re going to use a possible scenario for this upcoming NFL season. Sportsbooks have the New Orleans Saints at +1800 to win Super Bowl LIII at the start of the 2018 regular season, so if we place a $100 wager on the Saints to win the Super Bowl and they win, then we would get a total of $1,700 ($1,600 from winnings and $100 original bet). Sounds pretty good, right? But let’s say the New England Patriots make the Super Bowl, along with the Saints, and now the futures wager could be in doubt since the Patriots have been a dominant team for almost two decades. If the Patriots win, you’ll get nothing. Well, unless we hedge the bet. Let’s hypothetically say right before the start of the game, the Patriots are getting -150 odds and are the favorites over the Saints. 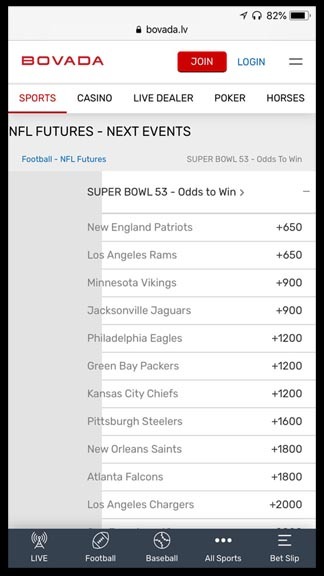 Now, if you wanted to just cover the original $100 futures bet on the Saints, you’d need to bet $150 on the Patriots to win $100. If the Saints win, you’ll profit $1,450 ($1,600 minus $150) and if the Patriots win, you’ll break even and lose nothing since the $100 profit from the Patriots bet covers the $100 you placed on the Saints futures bet. But hey, who wants to just break even? At this point, you can bet all the way up to $1,600 on the Patriots outright bet before you break even again since that goes over the possible winnings of the Saints futures bet. So, if you bet, say, $900 on the Patriots outright bet and they win, you’ll profit $500 ($600 minus $100), and if the Saints win you’ll profit $700 ($1,600 minus $900). So, while hedging your bets won’t net you a bigger profit, it does guarantee to make a profit since it creates a win-win scenario. Just remember: For all this to work, the futures bet must still have a chance to be paid out at the time of placing the outright bet. In the example, if the Saints don’t make the Super Bowl, then you’ve already lost and there’s no win-win scenario. But if they do at least make it to the Super Bowl, then you’re already guaranteed to profit if you hedge your bets. While this form of betting is rare, it is still worth mentioning because it’s essentially free money as crazy as it sounds. 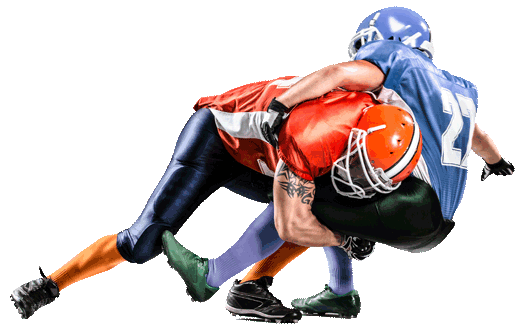 Arbitrage betting is the act of simultaneously placing a bet on all possible outcomes of sports contest or event at odds that guarantee a profit, regardless of results. Essentially this happens when the odds of all possibilities of an event set by a bookmaker add up to less than 100%. Essentially, this requires an oddsmaker to make a mistake when putting out the odds, which is a rare occurrence and when it does happen, you can be the oddsmaker is going to pull the betting line when the error is discovered. Some online betting websites strongly discourage arbitrage betting, and some will ban a person who is suspected of only seeking out arbitrage betting. As stated in the beginning, predicting the future is impossible and hopefully, this article helped gave some insight into two key strategies betting experts use when wagering on futures. And remember: Just because betting on the future can be cloudy doesn’t mean you have to do it blindly. Knowing when and how to properly place a futures bet could lead bigger payouts, and hopefully, a clearer betting future.